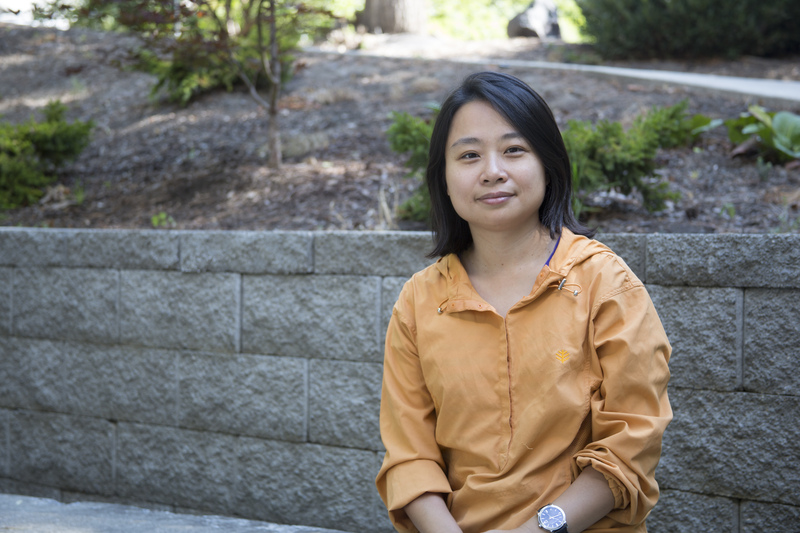 Hsin-Ya Liao’s research focuses on vocational interests, help-seeking, and intergroup relations. Her recent projects include the development of indigenous interest assessments, examination of interest structure and assessment across cultures, the role of culture and stigma on the likelihood of seeking psychological help, and the role of intergroup rejection sensitivity on one’s psychological well-being. Dr. Liao teaches the following courses: Career Counseling- Theory and Methods, Cognitive Assessment, Personality Assessment, Cross-Cultural Research in Counseling and Assessment, Theories of Counseling and Psychotherapy, Advanced Practicum, and Seminar in Research in Counseling Psychology. Kim, T., Hutchison, A., Gerstein, L., Liao, H.-Y., Cheung, R. W.-L., Cinamon, R. G., Michael, R., Mastroianni, E., Bellare, Y. & Collins, R. M. (in press). Hong Kong women’s perception of their future. British Journal of Guidance & Counselling. Robb, J. L., Chou, C.-C., Johnson, L. G., Liao, H.-Y., & Tan, S.-Y. (2018). Mediating effects of social support and coping between perceived and internalized stigma for substance users. Journal of Rehabilitation, 84, 14-21. Liao, H.-Y., Spanierman, L. B., Harlow, A., & Neville, H. A. (2017). Do parents matter? Examination of White college students’ intergroup experiences and attitudes. The Counseling Psychologist, 45, 193-212. Vogel, D. L., Strass, H. A., Al-Darmaki, F. R., Armstrong, P. I., Baptista, M. N., Brenner, R. E., Gonçalves, M., Heath, P. J., Lannin, D. G., Liao, H-Y., Mackenzie, C., Mak, W. W. S., Rubin, M., Topkaya, N., Wade, N. G., Wang, Y-F, & Zlati, A. (2017). Stigma associated with seeking mental health services: Examination across ten countries/regions. The Counseling Psychologist, 45, 170-192. Chronister, J., Chou, C-C., Fitzgerald, S. D., & Liao, H-Y. (2016). Social support and persons with psychiatric disabilities: A cluster analysis. Journal of Applied Rehabilitation, 47(3), 29-40. Liao, H.-Y., Hong, Y-y., & Rounds, J. (2016). Perception of subtle racism: The role of group status and legitimizing ideologies. The Counseling Psychologist, 44, 237-266. Yeh, C. J., Liao, H-Y., Ma, P-W. W., Shea, M, Okubo, Y., & Kim, A. B., & Atkins, M. S. (2014). Ecological risk and protective factors of depression and anxiety among low-income Chinese immigrant youth. Asian American Journal of Psychology, 5, 190-199. No, S., Hong, Y.-y., Liao, H.-Y., Lee, K., & Wood, D., & Chao, M. M. (2008). Lay theory of race affects and moderates Asian Americans’ responses toward American culture. Journal of Personality and Social Psychology, 95, 991-1004. Spanierman, L. B., Neville, H. A., Liao, H.-Y., Hammer, J. H., & Wang, Y.-F. (2008). Participation in formal and informal campus experiences: Effects on students’ racial democratic beliefs. Journal of Diversity in Higher Education, 1, 108-125. Liao, H.-Y., Armstrong, P. I., & Rounds, J. (2008). Development and initial validation of public domain Basic Interest Markers [Monograph]. Journal of Vocational Behavior, 73, 159-183. Rounds, J., Armstrong, P. I., Liao, H.-Y., Rivkin, D., & Lewis, P. (2008). Second generation Occupational Interest Profiles for the O*NET System. Raleigh, NC: National Center for O*NET Development. Summary retrieved from http://www.onetcenter.org/reports/SecondOIP_Summary.html. Rounds, J., Armstrong, P. I., Liao, H.-Y., Rivkin, D., & Lewis, P. (2008). Second generation Occupational Value Profiles for the O*NET System. Raleigh, NC: National Center for O*NET Development. Summary retrieved from http://www.onetcenter.org/reports/SecondOVP_Summary.html. Hong, Y.-y., Liao, H.-Y., Wang, R. Y. M., Chan, G., Chiu, C., Ip, G. W., Fu, H., & Hansen, I. G. (2006). Temporal causal links between outgroup attitudes and social categorization: The case of Hong Kong 1997 transition. Group Processes and Intergroup Relations, 9, 265-288. Liao, H.-Y., Rounds, J., & Klein, A. G. (2005). A test of Cramer’s (1999) help-seeking model and acculturation effects with Asian/Asian American college students. Journal of Counseling Psychology, 52, 400-411.